Awards and Certifications – Fragos S.A.
Fragos S.A. has gained national recognition for its performance and growth initiatives. Since its inception in 1987, the company has received distinctions and awards in different fields. Fragos S.A. has gained national recognition for its performance and growth initiatives, as well as for best practices in packaging, communication, operational procedures and expansion through franchising. 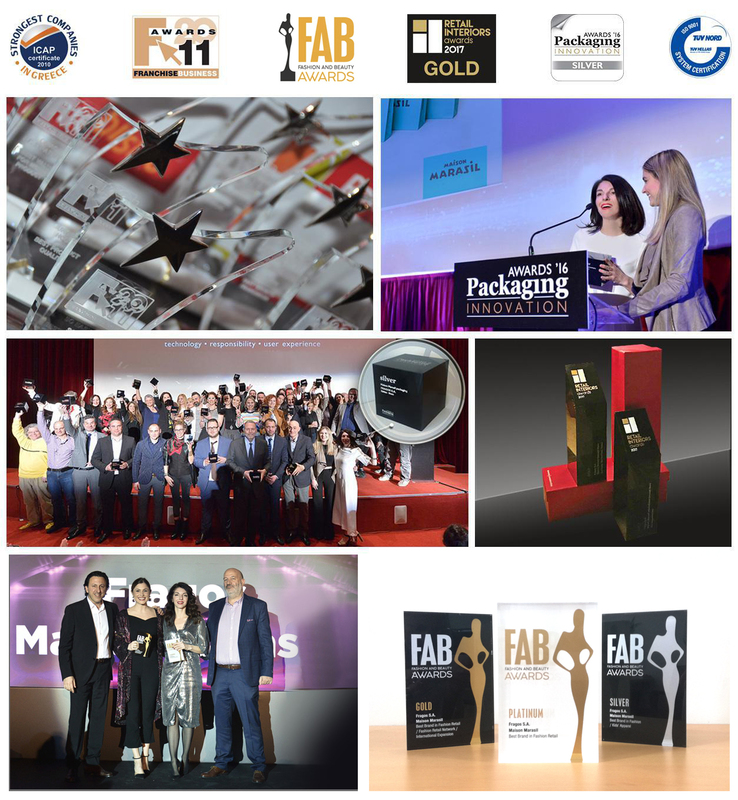 These awards have made Fragos S.A. one of the most innovative and pioneering companies in the children’s clothing industry. Loyal to its philosophy and vision, Fragos S.A., has incorporated in all stages of its everyday operations – design, selection of raw materials, selection of suppliers, sampling, sewing, quality control, storage and distribution, customer relations, etc.- organisational principles and rules, a fact which is reflected in its operational procedures. These procedures and all corporate documentation are communicated to all personnel, who operate in accordance to these. Control of daily operations is carried out on a methodical and regular basis by the appropriate organisational structures. All applied policies and rules exceed the requirements of the international ISO 9001:2008 standard which sets out the requirements for the applied Quality Management Systems. Fragos S.A. is inspected every year by the accredited certification body TUV HELLAS, which substantiates correct and full compliance with the requirements of the ISO 9001:2008 standard.